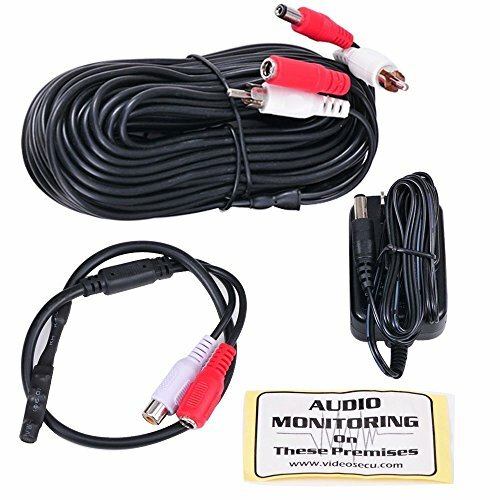 Collect audio evidence as important as capturing video evidence, this preamp microphone kit is a perfect addition to any system. This microphone is compatible with devices that accept AV input, like TV, VCR, DVR.This high gain mini preamp and microphone is the best for professionals, with Preamplifier IC built on board, it increase a microphone's low output voltage to a stronger, more usable level, it features low noise, high gain and auto level adjustment on-board preamp circuit. This mini-size microphone is only 5mm in diameter, easily hidden. Notice: This item is VideoSecu brand. Please report to Amazon.com if you received one without VideoSecu logo.